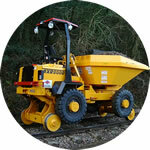 GOS conversion of a Barford SXR8000 Dumper. 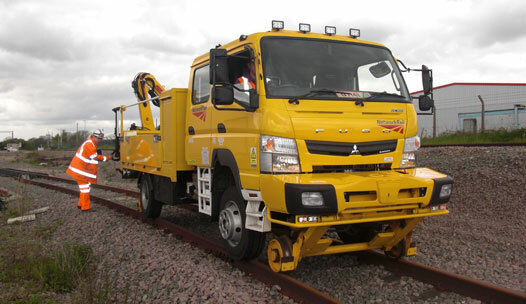 Rear facing CCTV fitted as standard. 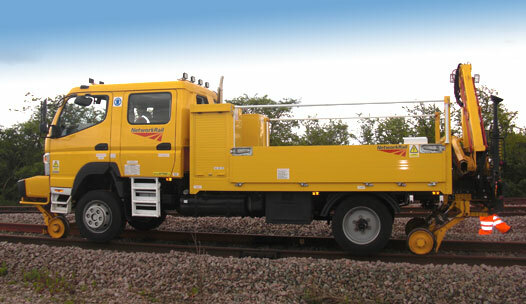 The road/rail conversion may still be operated as an ordinary light truck on highway provided that the correct wheels and tyres are fitted. 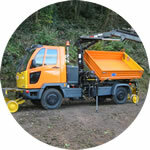 GOS conversion of a Barford SXR8000 Dumper – front. 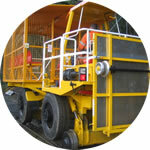 GOS conversion of a Barford SXR8000 Dumper – back. 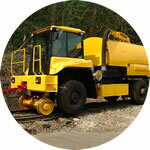 GOS Thwaites Dumper Personnel Carrier is an adaptation of an existing road/rail dumper truck. 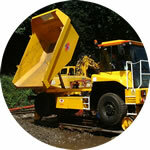 The tip/swivel body is removed and a specialist Personnel Carrier Body (PCB) is fitted. 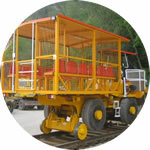 The Personnel Carrier can be used to transport up to 14 persons ( including machine Operator and Assistant) from a possession access point to a possession worksite.